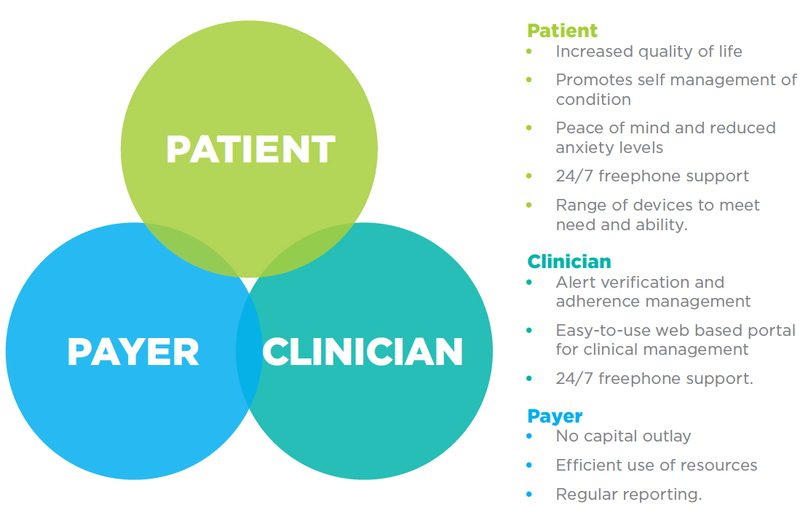 Baywater > Clinicians & Commissioners > Our Therapies > Remote monitoring > How can we help? Baywater Healthcare has a long-established history in the field of homecare services. Our experience, alongside our focus on high quality, patient-centred homecare services, ensuring patient dignity, better quality of life and independent living, coupled with our existing business infrastructure, mean Baywater Healthcare is perfectly positioned to deliver world class managed telehealth provision. The managed telehealth service can achieve high levels of patient satisfaction, and deliver significant benefits to the health service. Our highly-trained Healthcare Technicians, national contact centre and centrally located workshop, ensure all managed telehealth activities are carried out to the highest possible standards. Baywater Healthcare has extensive experience of providing in home clinical services to patients. Our infrastructure is already tailor made to provide the much needed integrated service model which is now accepted as a critical component of a successful managed telehealth programme.